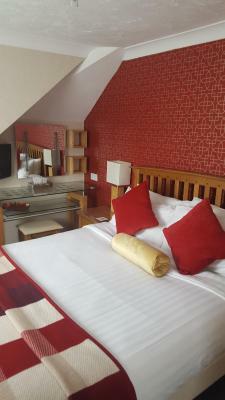 Lock in a great price for Brookside Guest House & Mini Spa – rated 9.8 by recent guests! Very friendly and helpful at all time. Location was excellent close enough to the harbour yet far enough away for the peace and quiet. Having stayed in 5 star hotels the breakfast here is 5 star quality better than hotels I have been to!. Cooked to perfection well presented and one of the best breakfast I have had for a long time. The room was spotless and so clean to such a high standard. 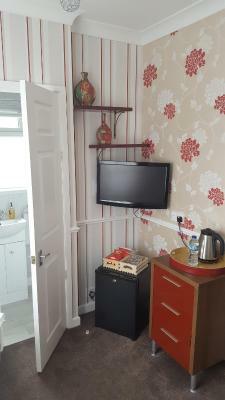 Had a lovely seating area in the room to relax and enjoy a tea or coffee and T.V. The bed was comfortable, and the host where so welcoming and friendly and I would most definitely stay here again. Only 10 minute walk to town or a bus across the road so easy access to Brixham harbour and town. Ideally located for town with bus services to other resorts and good parking. Food and service excellent. We were made very welcome, our room was very comfortable and breakfast was delicious. We would be very happy to go back. As we were staying in the town after our overnight stay we needed to find somewhere to park, and they were happy to let us leave the car there until lunchtime while we walked into the town. 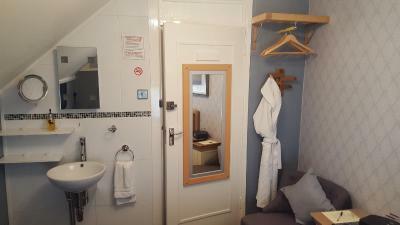 Brookside Guest House & Mini Spa This rating is a reflection of how the property compares to the industry standard when it comes to price, facilities and services available. It's based on a self-evaluation by the property. Use this rating to help choose your stay! This 4-star Gold award-winning guest house features stylish interiors, luxury rooms and organic, locally sourced breakfasts. 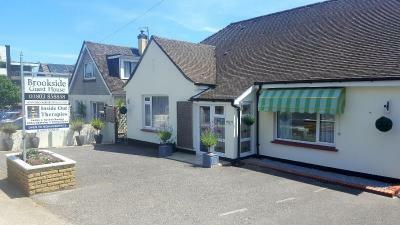 With free parking, it is 10 minutes’ walk from Brixham’s center. 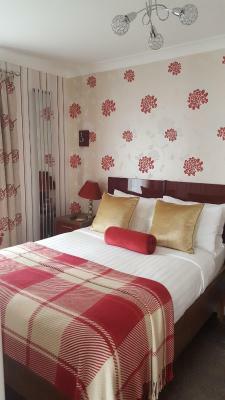 Stylish and elegant, each room at Brookside Guest House & Mini Spa provides comfortable pocket-sprung beds, luxury toiletries and large, fluffy towels. Rooms all offer free bottled water, as well as free Wi-Fi and a flat-screen TV. 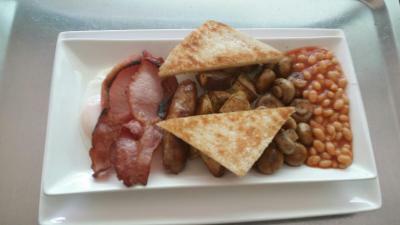 Award-winning breakfasts at Brookside are freshly cooked each morning. Guests can choose from a wide selection, from continental and vegetarian options to smoked salmon. Brixham is a charming harbor town and the guests house is just 15 minutes’ walk from the marina, with a frequent ferry service to Torquay. 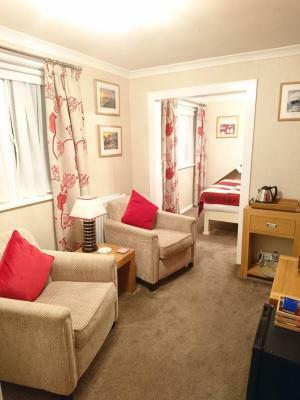 Paignton Rail Station is 5 miles away, and Paignton Zoo is only 4 miles from the property. This property is also rated for the best value in Brixham! Guests are getting more for their money when compared to other properties in this city. When would you like to stay at Brookside Guest House & Mini Spa? 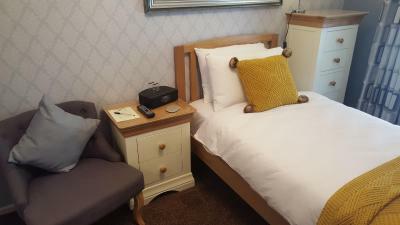 Stylish and elegant room with comfortable pocket-sprung beds, luxury toiletries and large, fluffy towels. Rooms all offer free bottled water, as well as free Wi-Fi and a flat-screen TV. Luxurious and spacious Premier Suite offering a comfortable pocket-sprung bed, luxury toiletries and large, fluffy towels. Rooms all offer free bottled water, as well as free Wi-Fi and a flat-screen TV. Located on the ground floor, the Junior Suite includes a private lounge area. 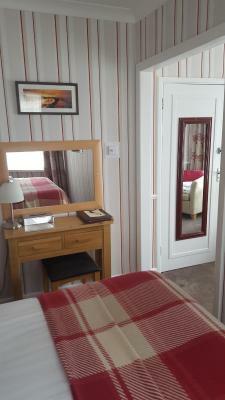 It also features a comfortable pocket-sprung bed, luxury toiletries and large, fluffy towels. 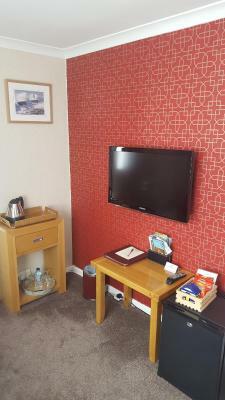 Rooms all offer free bottled water, as well as free Wi-Fi and a flat-screen TV. A warm welcome awaits guests arriving at Brookside Guest house. 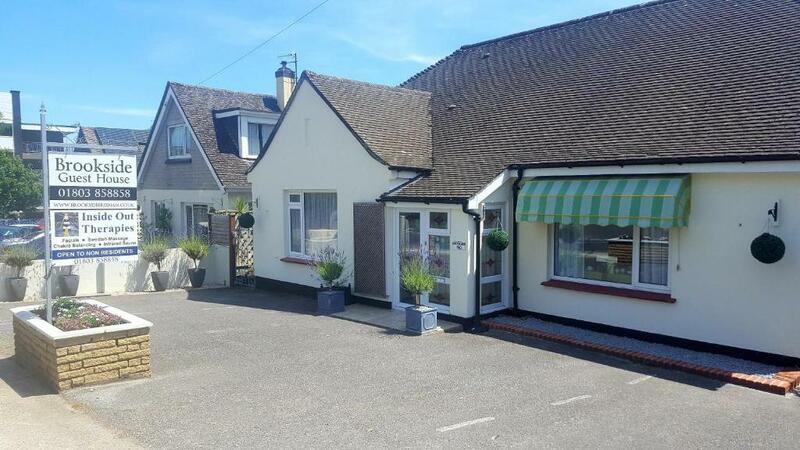 We took ownership of Brookside in May 2014 and have carried on the high standards set by the previous owners that we took over from which is shown by the high scores & great reviews we constantly receive from satisfied customers. 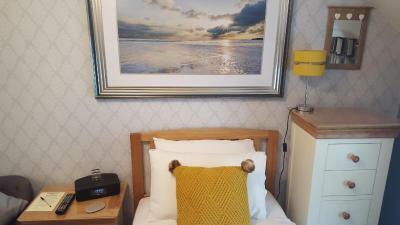 We have furnished the rooms with iphone/ipad docking stations, added in to each of the rooms a silent running fridge stocked with fresh semi-skimmed milk and laid new flooring in all the bathrooms. In our first year we decorated the Breakfast Room and hallway and top landing areas. 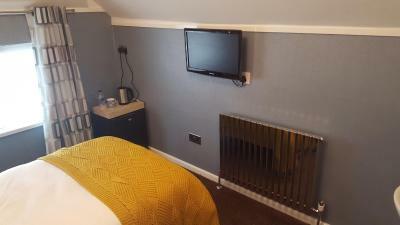 In November 2015 we totally redecorated room 1 adding a mini safe to this room along with other added luxury items to furnish the room with. In November 2015 we laid new bathroom flooring in all the rooms. We are the only Guest House in Brixham to have a Massage Treatment Room offering Full Body Swedish Massage, Indian Head Massage and Reike treatments. 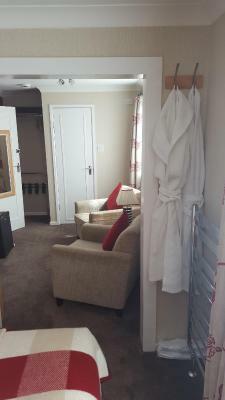 All rooms have dressing gowns and slippers for the comfort of our guests whilst staying with us. Two rooms are suites offering guests the added comfort of having a separate sitting area from the bedroom these rooms have two TV's in them. House Rules Brookside Guest House & Mini Spa takes special requests – add in the next step! Debit card Brookside Guest House &amp; Mini Spa accepts these cards and reserves the right to temporarily hold an amount prior to arrival. Brookside Guest House & Mini Spa accepts these cards and reserves the right to temporarily hold an amount prior to arrival. Please note this property does not accepts bookings made by third parties. The room and toilet/shower could have been bigger. We would have liked the bed to have been a little firmer. Everything about Brookside Guest House was superb, especially the owners, Richard and Julie, who couldn't have been more welcoming. We would certainly recommend anybody planning a trip to Brixton to stay with them. Everything, room , breakfast, very warm people with lot to tell you about the area.